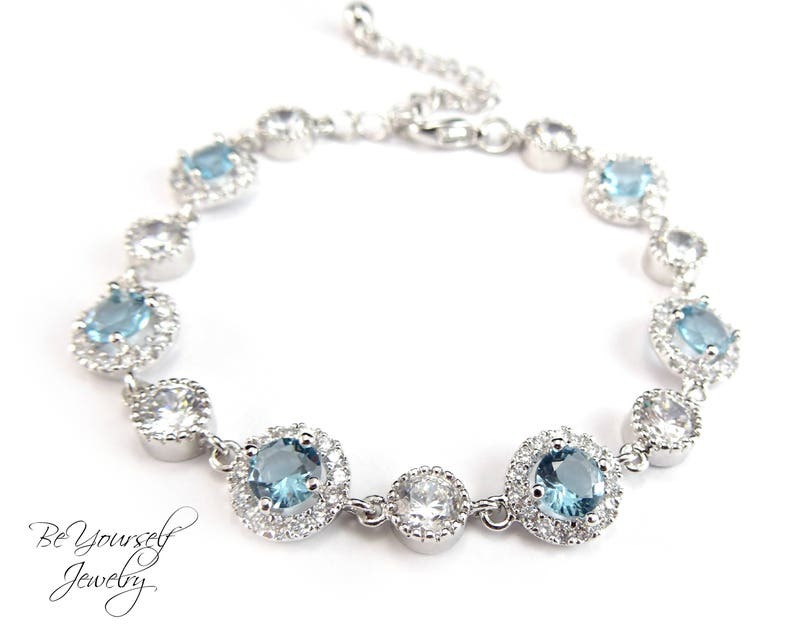 Gorgeous and elegant white and aquamarine blue Cubic Zirconia bracelet! Perfect for weddings and special occasions! Pictures does not make it justice! 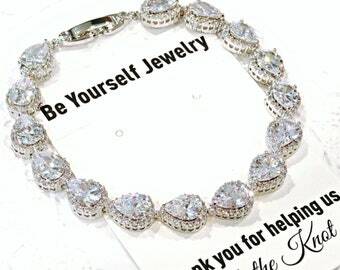 We made this bracelet using high quality round AAA cubic zirconia stones that are luster rhodium plated, hypoallergenic and tarnish resistant. Very sparkly, have an expensive look and will be a perfect addition to your jewelry collection! Choose your measurement at checkout or contact me for a different size option. Please contact me if you would like to order multiple items for your bridesmaids. I'm very easy to be reached and usually reply to my messages right away. Special discounts are available for multiple orders. 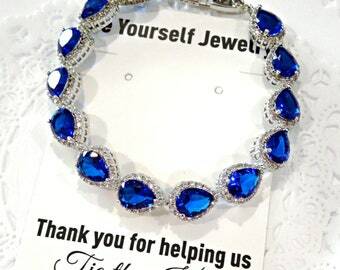 This bracelet will arrive in a beautiful gift wrap at no extra cost!